Peaceful Uprising is a group committed to defending a livable future through empowering nonviolent action. Our focus is on changing the institutional and social status-quo that is at the root of the climate crisis. Friday Uprising on RadioActive: New Podcasts! 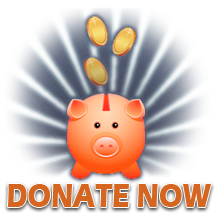 Peaceful Uprising needs your support to continue our work for a livable future. way in helping us reach our goals! Most of us know that the Wasatch Front, and in particular the Salt Lake Valley, has the unfortunate distinction of having some of the worst air in the country. Kennecott Utah Copper knows about this crisis as well. But what you might not know, is that every year, they make the conscious decision to burn dirty coal for electricity at their plant in Magna. The power plant doesn’t even need to burn coal–it can run on natural gas, which is far cleaner–but coal is cheaper. In other words, the health of all the residents in the Salt Lake Valley combined is less valuable to the corporation than the money they save by burning coal. We kicked off this campaign in conjunction with the national Fossil Fools Day of Action with a legal demonstration outside the gates of Kennecott’s power plant. Read the full article to find out what happened, and to see video of the action. 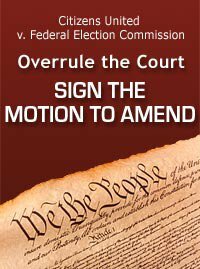 Join the Move to Amend in Utah to restore democracy in America! ruled that corporations are persons, and are thus entitled by the U.S. Constitution to fund campaigns without limit and, consequently, co-op our government. This decision surrenders many of the individual rights of Americans to Corporations. and abolish corporate “personhood” by attending this event with your neighbors, co-workers, and family, and friends. WHAT: Democracy Unlimited of Humboldt County, (CA) will lead a community dialogue and strategy session. 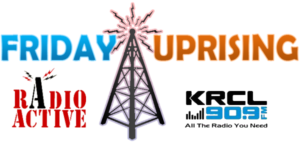 Airing on Fridays during RadioActive’s time slot (90.9 FM, 6:00 PM to 7:00 PM MST,) Friday Uprising will bring you insight and answers regarding everyday activism and how it affects your life, here in Utah and beyond. US tar sands and transition the Salt Lake Valley’s single coal plant to natural gas. The first commercial scale tar sands development in the United States has been proposed by the Canadian company Earth Energy Resources, and could be in production as soon as 2011. The program runs from June 1st to August 15th and is based in Salt Lake City, Utah. Participants working on the tar sands will take multiple trips to Moab and other impacted communities. Tim DeChristopher’s trial has been moved out from March until June 21st. DeChristopher has been charged with two felonies and could face up to ten years in prison for his actions at a BLM auction in December 2008, where he posed as a bidder and won thousands of acres of Utah land that was released in a last minute “fire sale” to oil and gas interests by the departing Bush administration. (The auction has since been suspended as questionably legal, and the parcels DeChristopher purchased subsequently taken off of the market.) The trial has been billed as a “call to action” for climate activists around the nation to demonstrate that climate justice is an issue that demands recognition by the U.S. legal system, and should be viewed as a universal human right. A good friend (and talented organizer) recently told me that direct action wasn’t going to accomplish change on the scale that we need. The point is that if we want national (and global) change, solutions need to be applied across the country, not in a piecemeal fashion. For example, it’s a lot more efficient to fight for national vehicle mileage or emissions standards than trying to do the same thing state by state. A national renewable standard would build on the successes of over half of the states in the US and apply to those states that for various reasons lack a renewable standard, creating market certainty for the growing but tenuous renewable energy sector. Much can be accomplished through policy venues. But we should not delude ourselves that policy alone will solve the problem. Good policy is nothing without good implementation. But what happens when implementation fails, when the structures we have created are broken? What recourse do we have? As far as I can see we have two options: 1) reform/transform political structures through further policy change and 2) take direct action to stop those failures. These options are not and should not be exclusive; they are both necessary. Direct Action is a safety net between well-intended policy and political failure and corruption.